Created by Academy Award winner Tarell Alvin McCraney (“Moonlight”) “David Makes Man” centers on a 14-year-old prodigy from the projects who is haunted by the death of his closest friend and relied on by his hardworking mother to find a way out of poverty. He must choose between the streets that raised him or the higher education that may offer him a way out. Set in South Florida, the series is inspired by events in McCraney’s own life and explores childhood trauma and the power of imagination to survive. On Friday, OWN and The Blackhouse Foundation hosted an intimate clips and conversation for “David Makes Man” moderated by The Blackhouse Co-Founder, Brickson Diamond and featuring series creator Tarell Alvin McCraney, executive producer Michael B. Jordan, showrunner/executive producer Dee Harris-Lawrence, and cast Akili McDowell (David), Alana Arenas (Gloria) and Phylicia Rashad (Dr. Woods-Trap). 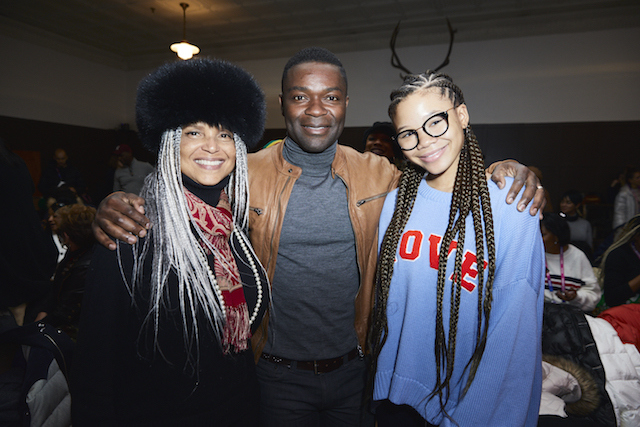 Also in attendance was actors David Oyelowo, Victoria Rowell and Storm Reid.